For IT News Week 1 May 2017. 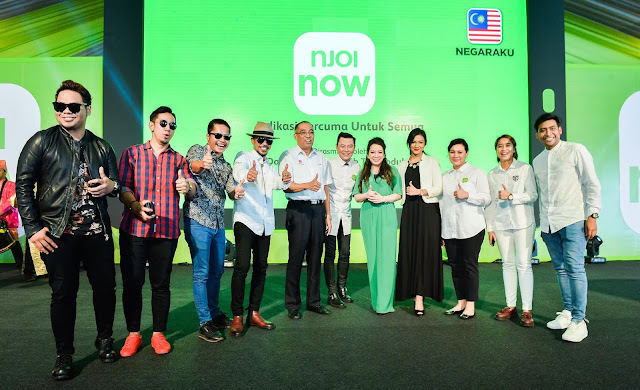 Astro Malaysia Holdings Berhad (Astro) today launched a new video streaming service, NJOI Now, available on mobile and online to provide Malaysians free access to on demand entertainment including box sets, live sports and breaking news. 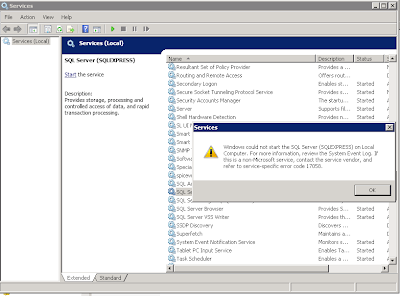 NJOI Now is designed to meet the digital lifestyles of consumers today, offering complete flexibility with no fuss. NJOI Now is the only mobile app in Malaysia to provide free on demand content, box sets and signature titles from Astro Prima, Astro Maya HD, Astro Oasis, Astro AEC, Astro Vaanavil; the best of live local sports on Astro Arena; latest news on Astro Awani as well as exam tutorials on Astro Tutor TV. Just download and start watching the best of local and international content on the mobile and online. For individuals who want to access a wider variety of premium content, NJOI Now offers prepaid options for instant access to additional channels and titles, including Astro WARNA, Astro RIA, Astro Wah Lai Toi, Hua Hee Dai, latest movies on Astro First and Astro Best, and many more from the on demand section. At the same time, users can enjoy personalized shopping experience on Go Shop channels and catch-up on missed episodes of their favourite shows, or watch a selection of on demand movies for free. NJOI Now is available to all Malaysians, and is supported on multiple devices, currently with up to two devices, per signed in user. Download the NJOI Now app from the Google Play Store or Apple Store on the tablet or smartphone or livestream via njoinow.com. Webtrekk, a customer intelligence provider headquartered in Berlin, announced that Wolf Lichtenstein, longtime head of SAS Germany and current partner at McKinsey, will become CEO starting on 1 June 2017. Lichtenstein takes over for Webtrekk founder Christian Sauer, who will remain on the board and focus on global business development. Lichtenstein’s primary focus as Webtrekk CEO will be expanding the company’s presence in the international customer intelligence market. Lichtenstein started working at the analytics software giant SAS in 2005, most recently acting as Managing Director SAS Germany and CEO DACH, where he was responsible for SAS’s customer intelligence initiative. Under his leadership, SAS continually set new records for revenues and profits. Last year he became a partner at McKinsey in the field of analytics. OutSystems, the #1 low-code platform for application development, has again added to its accolade by being recognised as a leader in the Gartner Magic Quadrant for Enterprise High Productivity Application Platform as a Service (hpaPaaS). Fusionex, a multi award winning market leader in Big Data Analytics (BDA) and the Internet of Things (IoT), Artificial Intelligence and Deep Learning; today shares that it has recently won two prestigious awards that further stamp its capability in providing innovative technology. Amazon Web Services - Fusionex was awarded the Top Technology Partner Award’ at the recently concluded Amazon Web Services (AWS) Summit 2017 - in recognition of its being the highest performing AWS partner for 2016. This is the second consecutive AWS award for Fusionex, as the company won the AWS Top Innovation Partner at the annual summit last year. Customer Centric Solutions - Most Innovative Award, given out by the World Tourism Economic Conference (WTEC) that was held in Heze, Shandong, China. Siemens, a global technology powerhouse, has partnered with Myanmar Mahar Htun Co., Ltd (MMH) to provide technology and solutions for Myanmar’s busy ports with ever-increasing requirements. Expansion of Myanmar’s ports is expected to result in increased traffic and trade volumes, which will create new opportunities for the ports and logistics sector. 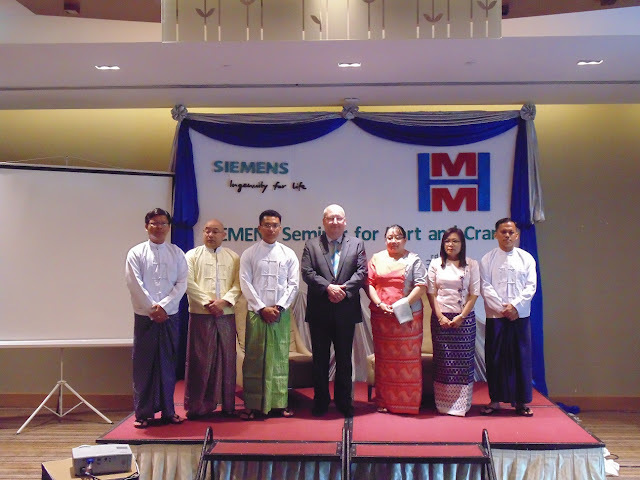 Through this collaboration, MMH will equip Myanmar’s ports with cranes that feature Siemens’ technology, which will bring benefits including increased efficiency, improved productivity and enhanced operational safety. As a close partner of the industry with more than 100 years of experience, Siemens has extensive knowledge concerning control and automation applications for cranes. Whether for shipyards, terminals, steelworks or power plants, its solutions provide a holistic support to customers, ensuring reliable and energy-efficient crane operations around the world. For instance, Siemens’ Simocrane technology platform considers the ever-shorter load handling times together with reduced energy requirements. The Simocrane technology platform covers both the crane requirements arising in harbor applications (container loading and unloading, batch and gripper mode) and in the industrial sector of the steel and paper industry (ladle cranes, coil handling crane or paper roll handling crane), in shipbuilding (goliath cranes) and in numerous other industrial applications. BTI® Consultants, a global leadership consulting firm specialising in board and executive search, talent management, and leadership development, and INSEAD - the Business School for the World today announced that registration remains open for the first Global Leadership Programme. The Global Leadership Programme is slated to take place from 15-19 May 2017 at INSEAD Asia Campus in Singapore. Early bird promotions are available for registrations before 10th May 2017. The 5-day course is being offered at SGD14,000. Group discounts are available for group registrations of 5 participations. A travel and accommodation rebate of SGD4,000 will also be applied upon completion of programme. BP Healthcare Group, Malaysia’s leading primary healthcare provider, today partnered with Microsoft Malaysia to digitally transform its care continuum and deliver new health services. A Memorandum of Understanding to formalise this partnership was signed between ALI Health, a member of the BP Healthcare Group of companies, and Microsoft. The primary focus for ALI Health is its digital health app Doctor2U. By way of this collaboration, Doctor2U will leverage on Microsoft’s intelligent cloud services to integrate Artificial Intelligence and Machine Learning into its platform. These advanced technologies will allow Doctor2u to harness data insights and deliver more effective treatment plans for patients. During the event, brand partners will also showcase their latest and greatest products on-site and those present will be some of the first to experience what these brands have in-store in the future. Brands have exclaimed their excitement in being part of another way to showcase the incredible passion of enthusiasts and the creations and performance that can be had with their products. According to Mergermarket’s data, Energy, Mining and Utilities (EMU) sector has recorded a growth of 323% compared to Q1 2016, becoming the only sector with year-on-year growth in APAC ex. Japan. Energy, Mining and Utilities (EMU): Recorded a value of $29bn across 60 deals. Hong Kong’s gluttonous appetite for Australian EMU targets overshot the global sector increase by nearly 3 times. Pharmaceutical, Medical & Biotechnology (PMB): PMB deals fell most in Asia 47.4% to a mere $ 4.1bn and has historically been the lowest valued sector in the 1Q in APAC since 2007. Technology, Media & Telecommunications (TMT): TMT takes top spot in all Asia-Pacific Record shattering Idea-Vodafone India’s merger was the country’s largest deal, ranking #1 in TMT globally for 1Q 2017. This telecommunications deal outweighed the significant falls in technology -48% and media -70%. This one deal made up 70% of total Indian M&A between 1 January - 31 March 2017. Industrials & Chemicals: While Industrials & Chemicals declined globally, APAC saw a 252% increase in the Chemical & Materials sub-sector at $9.1 bn. Consumer: APAC’s top three consumer transactions were all Chinese domestic deals. The infographic compares and contrasts M&A values and volumes with its global counterparts across the five key sectors which are energy, mining, utilities (EMU); consumer; industrials & chemicals; pharma, medical & biotech (PMB); and TMT.